Legendary executive coach and corporate consultant Dr. “Jack” Zenger will provide a Webinar on leadership development and the consulting process, for Saybrook University’s School of Mind-Body Medicine on April 29, 2015 at 5:30 PM Pacific. He will address students in a healthcare consulting skills class taught by Beth Haggett, LCSW, PhD, and others are welcome to participate in the Webinar. The Webinar will address the following questions: What makes an Extraordinary Leader? What makes an Extraordinary Coach? How can we optimally assist Executives to increase their self awareness? How can we coach Executives around increasing employee engagement? Dr. Zenger will communicate some of his most meaningful experiences in his career as a corporate consultant and executive coach. He will describe changes and trends in the field of executive coaching and business consulting, and opportunities being missed by many consultants and coaches today. He will also discuss the personal and professional qualities and values he brings to his work that have served him best. Finally, he will share his advice for those now entering the field of Leadership and consulting. John H. “Jack” Zenger, D.B.A., is the co-founder and chief executive officer of Zenger Folkman, a firm focused on increasing the self-awareness and effectiveness of leaders. Jack is considered a world expert in the field of leadership development, and is a highly respected and sought after speaker, consultant and executive coach. His career has combined entrepreneurial, corporate and academic activities. In 1977, he co-founded Zenger-Miller and served as its president and CEO until 1991. The Wall St. Journal named it one of the 10 best suppliers of executive development. From 1966 to 1977, Zenger was vice-president of human resources for Syntex Corporation, and from 1992 to 1996, was a group vice-president of the Times Mirror Corporation. Zenger’s academic experience includes serving on the faculty at the University of Southern California (USC) and later teaching at the Stanford Graduate School of Business. In 2011, Zenger was honored with the American Society of Training and Development’s Lifetime Achievement in Workplace Learning and Performance Award, given to one recipient per year. Zenger was also inducted into the Human Resources Development Hall of Fame. His colleagues in the training industry awarded him the “Thought Leadership Award” in 2007 and again in 2013. He and his wife Holly both received honorary doctoral degrees from Utah Valley University. He received a doctorate in business administration from the University of Southern California, an MBA from UCLA and a bachelor’s degree in psychology from Brigham Young University. 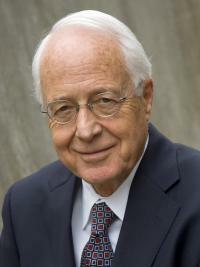 He currently serves as a Regent for the Utah System of Higher Education and formerly was the chair of the Board of Trustees of Utah Valley University. Zenger is the author or co-author of fourteen books, including five books on leadership, Results-Based Leadership, (Harvard Business School Press, 1999) voted by the Society for Human Resource Management (SHRM) as the Best Business Book in the year 2000, the best-selling The Extraordinary Leader: Turning Good Managers into Great Leaders (McGraw-Hill, 2002), Handbook for Leaders (McGraw-Hill 2004), The Inspiring Leader: Unlocking the Secrets of How Extraordinary Leaders Motivate (McGraw-Hill 2009), The Extraordinary Coach: How the Best Leaders Help Others Grow (McGraw-Hill 2010) and How to be Exceptional. Zenger currently writes blogs for Forbes and the Harvard Business Review. Please go to this link to register for the Webinar. You will then receive the Call-in Information.